With our fleet of vehicles, we offer pick-up, delivery and installation services all over the Florida area. Our skilled installers have over 16 years of experience and have resolved just about every installation challenge imaginable. No one is more qualified to handle and hang your valued artwork. Look for the classic black and red QR code van all over Florida! Easy Pick Up – We love to go the Extra Mile! We know that meter parking can be time consuming. 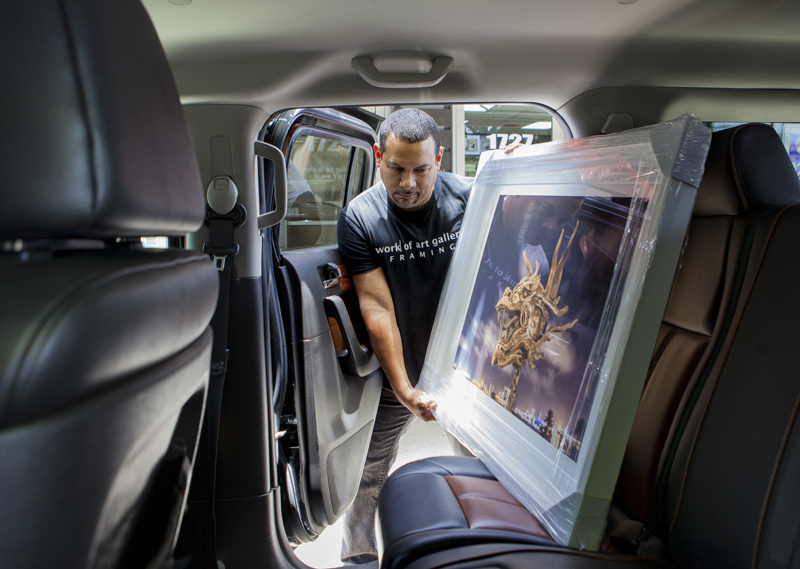 For your convenience, let us save you time by having one of our awesome staff members deliver your newly framed pieces to your vehicle without parking. 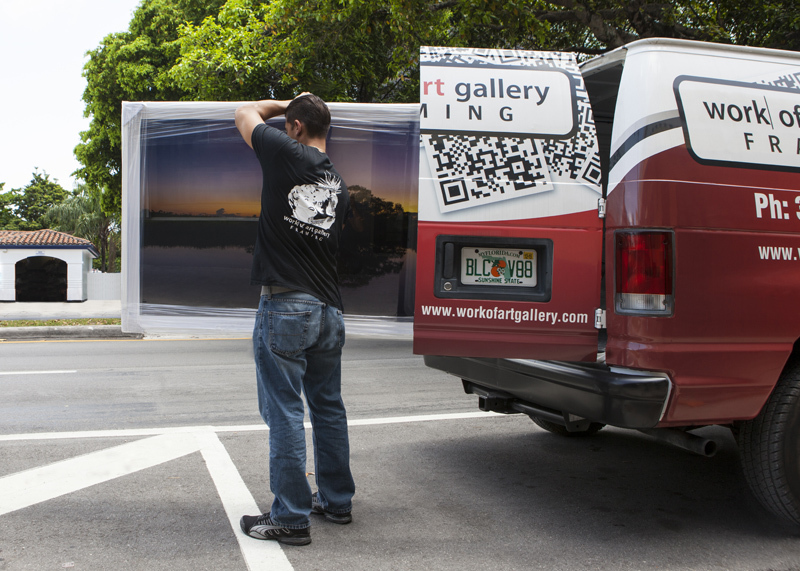 Call us 10 minutes before your arrival and we’ll put all your artwork directly into your vehicle. We specialize in the packing, crating, boxing and shipping of all types of art. 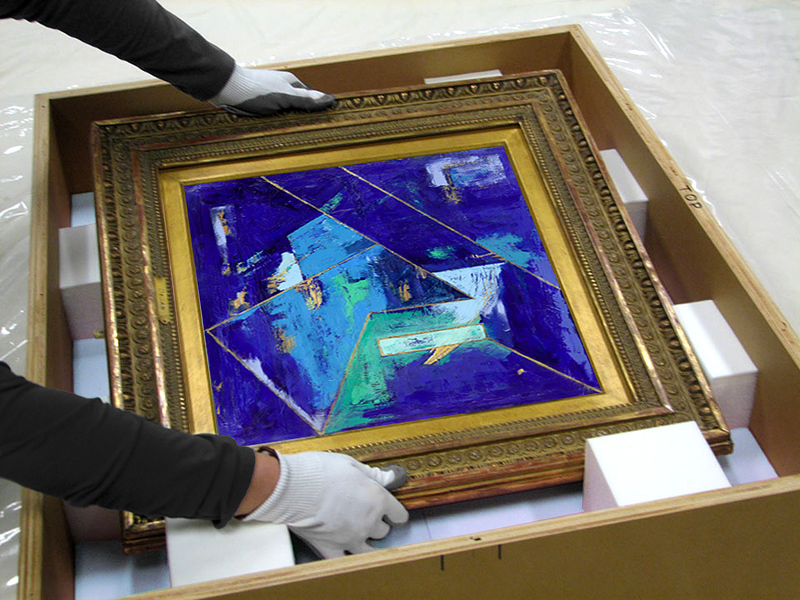 Whether you’re shipping priceless museum art or a single sentimental piece – our customer service will ensure it will be packed and shipped safely to any location worldwide. From an antique painting to a one-of-a kind sculpture, Work of Art gets it there with care!